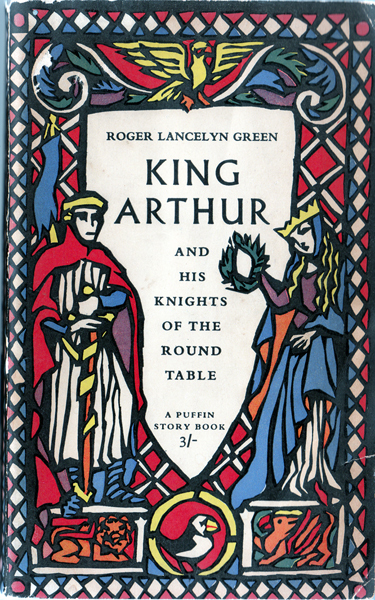 Description: This rare, early printing of the 1953 Puffin original features masterful re-tellings of the original 22 stories, spanning four books – The Coming of Arthur; The Knights of the Round Table; The Quest of the Holy Grail; The Departing of Arthur – plus the epilogue: Avalon. The beautiful, mediæval b&w illustrations resemble woodcuts, but were actually produced using a unique technique in which they were "cut out of thin black paper with a pair of special scissors [and] mounted on transparent paper." Matt pictorial covers are in excellent condition for their age, although there is a small, 1 cm (0.4″) closed tear on the rightmost edge of the front cover. This tear has continued onto the edge of the first 10 or so pages. Previous owner has printed her name very neatly in blue ballpoint on the inside front cover. All pages are 'framed' with a tan, but appear to have resisted foxing, and are completely unmarked. Super-tight binding. Measures 17.5 cm × 11 cm (7″ × 4.4″). 12mo. 282 pp. + 6 pp. 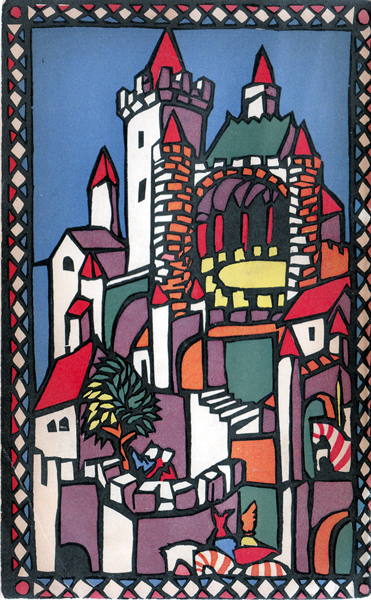 catalogue of other titles by the publisher.